Happy Friday and Happy April, friends! On working out and having fun at the same time. I've been thinking of taking some sort of yoga, Zumba, or swing dancing class for some time now. I didn't think I would say it, but I miss taking these kinds of classes (I've taken Ballroom and yoga). Any recommendations? I have to actually find a studio that has classes, but they all sound like lots of fun. The best kind of photobombing out there. I realized that I posted the same photo twice in this post (it's since been fixed!) and I apologize like crazy. Apparently my brain's still on Spring Break? 20 inspiring quotes from children's books. And the cutest bird feeder ever. How to make cookies from any cake mix. My personal favorite is making Funfetti sugar cookies. I'm not a huge cake mix fan but these cookies are delicious and so incredibly easy to make! You had me at this photo. Can you tell what my greatest weakness is? The prettiest family tree out there. These postcards are a-mazing. I want them all! And this is the best and cutest (and free!) printable birthday card out there. I'm thinking this dad wins for coolest dad of the year (aka the coolest "home videos" ever). These look so real! Can you believe they're fake--and that there's a tutorial for them, too? On speculation and celebrity gossip. I would loooove to have a kid as hilarious as this little one; it would make life wayyy more entertaining, no? So, why didn't someone tell me that Target has so many cute sandals? I've been on the hunt for a cognac brown pair and these three pairs are my current faves. Which one(s) do you like best? And this is positivity at its best. It's not a Bits and Pieces post without adding a link to a cute wedding, right? OH my gosh! Love that family tree! We're always hunting for "not normal" ideas since our boys' family tree will look a little different than some people. Although The Hubs will say that one is too "girly." I'll just have to get that one for myself! And have you seen the new Toms sandals? You may not want to... they may end up in your checkout cart, and then find their way to your doorstep. Weird stuff like that always happens when I visit the Toms site! And I haven't seen the new TOMS sandals yet! I just signed up for their newsletters and have been thinking about buying a pair so I can switch up my normal athletic/sneaker footwear to work. I want something cute and yet something that's comfortable for an 8 hour day! target has THE best sandals! Haha, sounds like something that would happen to me. Oh wait, that HAS happened to me. And then I tried re-writing the comment and it just sounded really lame and then I just wrote something generic. Anyway, so glad you enjoyed the links! I loved going through yours as well! Target truly has so many treasures....and sandals are among them! I love your photo at the top with that quote....so beautiful, and so true! Also, exercise classes are the best, cause they are a good workout, challenging, fun, social, and push you sometimes to things you wouldn't be able to yourself! 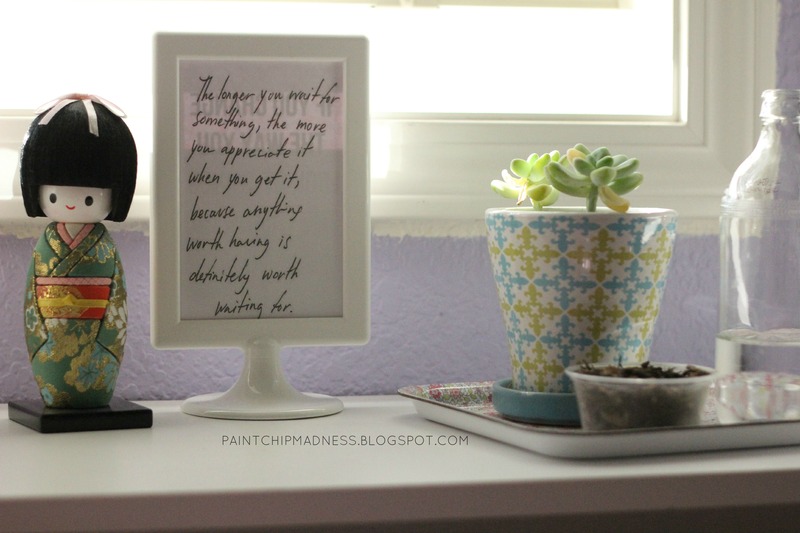 And that quote was actually a pin I found on Pinterest and it's framed in my room (obviously) and such a great reminder for all the different seasons in my life! And I agree! I was surprised by how much I got from past yoga and dancing classes that I took at my college. They definitely pushed me out of my comfort zone and it's one of the biggest reasons why I want to start them up again! The cake mix cookies! THANK YOU! + I LOVE that quote up in that picture! + Jimmy is my favorite and I LOVED that photobombing. He is a genius. I want to be best friends with him. + Love the children's books quotes. + What a cute bird feeder! + I MUST have those postcards...to frame of course! "the mountains are calling and I must go" is one of my favorite quotes! Fell in love with John Muir when I lived in CA. + LOVE those tulips. What an awesome way to have them all year round! + Pretty sure that all sandals I've owned have come from Target. I love the first or third pair. That is one of my all-time favorite pins on Pinterest. So much wisdom in that quote! And I'm pretty sure all my sandals are from Target, too! I had a pair from Old Navy awhile back I think, but Target is pretty much my go-to when it comes to sandals these days. Now I just need to wait until they have them in their stores! And have you seen TOMS' sandal collection? The more I visit their site, the more I want to buy a pair (or two or three)!